The impact and sophistication of cybersecurity challenges and attacks have created a global demand for talent that is outpacing the supply. To help fill the growing cybersecurity skills gap, ISACA created Cybersecurity Nexus (CSX) to provide cybersecurity guidance, career development, education and community for professionals at every stage of their careers. CSX represents ISACA’s solid commitment to help address the global need for skilled cybersecurity professionals. A recent ISACA survey shows 86 percent believe there is a worldwide shortage of skilled cybersecurity professionals, and 54 percent say it is difficult to identify who has an adequate level of skills and knowledge for entry level positions. According to Cisco’s 2014 Annual Security Report, there is a shortage of one million security professionals worldwide. Enterprise Strategy Group found that 83 percent of enterprises lack the necessary skills to protect their IT assets. It has become critical for professionals in all disciplines to have at least basic knowledge of cybersecurity. This knowledge-based certificate is designed for recent college/university graduates and those looking for a career change to cybersecurity, as it enables them to demonstrate an understanding of the basics of cyber. The certificate is aligned with the National Institute of Standards and Technology (NIST) National Initiative for Cybersecurity Education (NICE), which is compatible with global cybersecurity issues, activities and job roles. The certificate is also aligned with the Skills Framework for the Information Age (SFIA). The first performance-based cybersecurity certification, CSX Practitioner enables candidates to demonstrate the ability to be a first responder to cyber incidents, following established procedures and defined processes. CSXP indicates firewall, patching and anti-virus experience, as well as the ability to implement common security controls and perform vulnerability scans and analysis. To meet continuing professional education requirements, CSXPs must demonstrate skills in a lab or other skills-based environment on an annual basis and retest every three years at the highest level of CSX certification they have achieved. Self-paced exams and registration for the exam and training courses are available now. After completing the Practitioner level, cybersecurity professionals can earn a CSX Specialist certification, designating them as specialists in one or more of five areas aligned to global cybersecurity frameworks: Identify, Protect, Detect, Respond, Recover. Training and exams will be available later in 2015. This certification is designed for those with master-level technical skills who serve as an authoritative source for cybersecurity matters within an organization. Training and exams will be available later in 2015. Certified Information Security ManagerÒ (CISMÒ) is a management-level credential for those who manage, design, oversee and assess an enterprise’s information security program. Through CSX, ISACA has issued practical guidance for implementing the US Cybersecurity Framework (developed by NIST, which includes ISACA’s COBIT 5 as an informative reference). CSX also offers guidance to implement the European Union cybersecurity strategy. ISACA has already published several original cybersecurity resources, including COBIT 5 for Information Security, Transforming Cybersecurity Using COBIT 5, Responding to Targeted Cyberattacks and Advanced Persistent Threats: How to Manage the Risk to Your Business. More publications are in progress. ISACA also offers a Cybersecurity community in the Knowledge Center, which includes a discussion forum and links to resources. 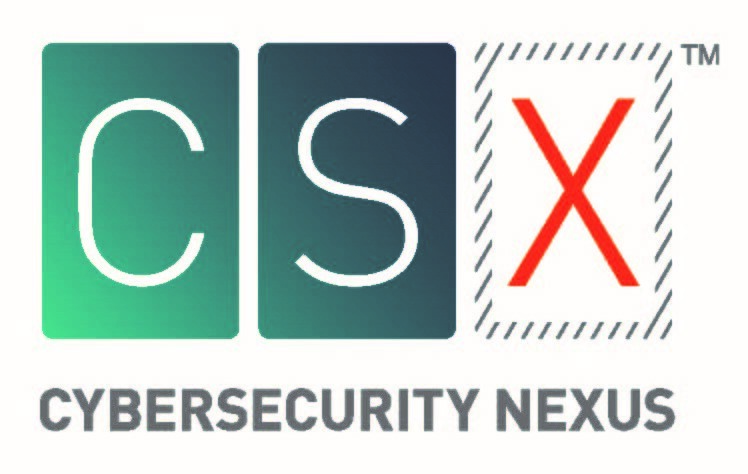 ISACA’s CSX 2015 North America event brings together cybersecurity leaders for 70+ cyber sessions providing step-by-step solutions tailored to cybersecurity professionals at every level of their careers. Additionally, ISACA offers cybersecurity education through the Cybersecurity Fundamentals Online Course and local chapter workshops, Training Weeks, webinars and virtual conferences. Collaborations with European Union Agency for Network and Information Security (ENISA), NIST and other organizations are underway. Additionally, ISACA hosts the World Finals of the Global CyberLympics, which will take place at CSX 2015. Teams from around the world compete in several rounds of this ethical hacking competition.